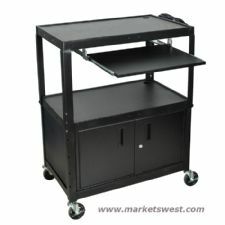 Luxor AVJ42XLC Extra Large Adjustable Height AV Cart with Keyboard Drawer & Cabinet. This 3 shelf A/Vcart that adjusts in height is ideal for classroom or business presentations. The AVJ42XLC is great for holding a TV, laptop, projector, and other av equipment! It comes with a black powder coated finish and includes a 1/4" retaining lip around the storage surfaces to keep AV equipment from falling off. Easily transport your laptop or projector to your next meeting or class using this versatile Luxor AVJ42XLC Extra Large A/V cart with Lockable Cabinet (Black). 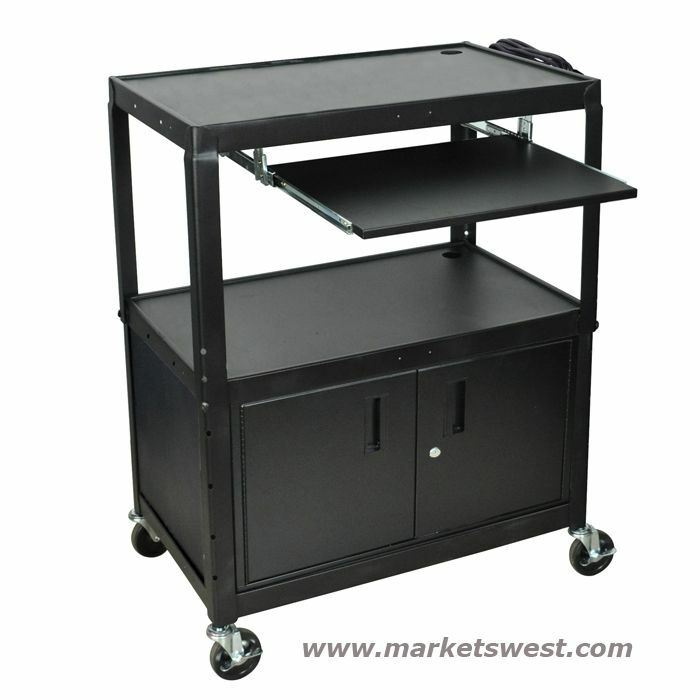 This A/V cart features two, 32x18" roll formed shelves with a powder coat finish and a retaining lip to keep your equipment from falling off during transportation. Four casters make this cart easy to wheel from one room to another. A steel cabinet with locking doors and full-length piano hinges is perfect for securely storing unused equipment and accessories. Holes in the top and middle shelves allow cables to pass through for easy equipment hook-up. 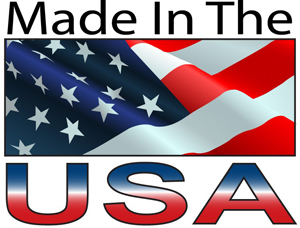 This cart is height adjustable in 2" increments and boasts a 3-outlet electrical assembly with a 15' cord. 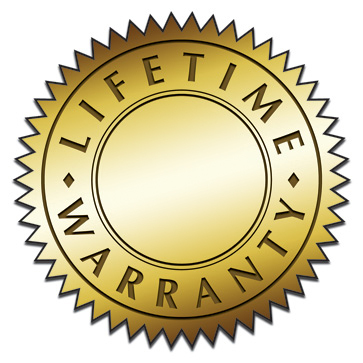 AMERICAN MADE WITH LIFETIME WARRANTY!